The power of images is all too often overlooked. A good image not only grabs the attention of the reader and sets the tone for an article, but it can also make an article look more professional. 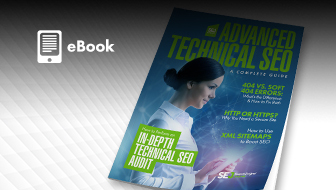 Because content (i.e., blog posts, articles, and other text-based content) is often used to bring new visitors to a website through search engines, many readers don’t see your well-designed homepage first but an internal page. First impressions count. So it’s vital to make an impact on your readers quickly if you want them to stick around. 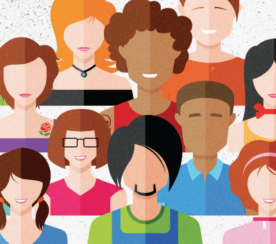 Using images goes beyond simply how it looks on your site. 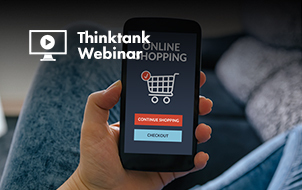 Many online stories, articles, and blogs are shared via social media, and an image used within an article will often be used as a thumbnail for the link to your website. Having a memorable image here can make your site stand out from the others. 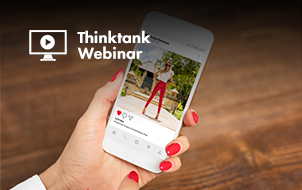 With a good image, you can attract more visitors from social media even if you are not at the top of the list of topics being discussed. Where Can You Get Good Images for Your Site? Unless you’re a skilled photographer, you probably look to stock photo websites where you can buy royalty-free images. 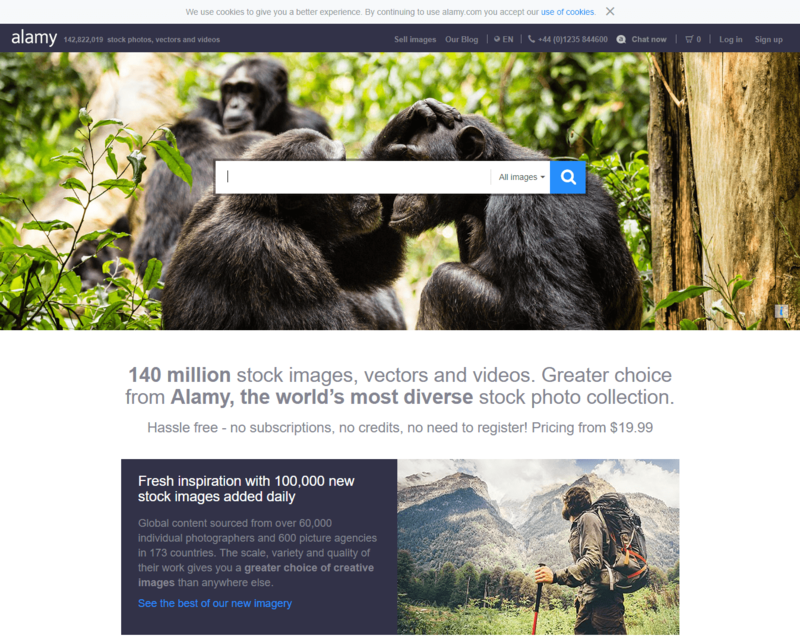 Among the most well-known premium stock photo websites is iStock (previously known as iStockphoto), a long-standing favorite by site owners around the world. Founded in 2000 and acquired by Getty Images in 2006, iStock changed the way that people buy and sell photography and illustrations online. They have millions of photos, vectors, illustrations, and video clips contributed by more than 160,000 artists worldwide. Depending on your needs, you can either buy credits or purchase a subscription. Here are 10 alternatives to iStockPhoto. 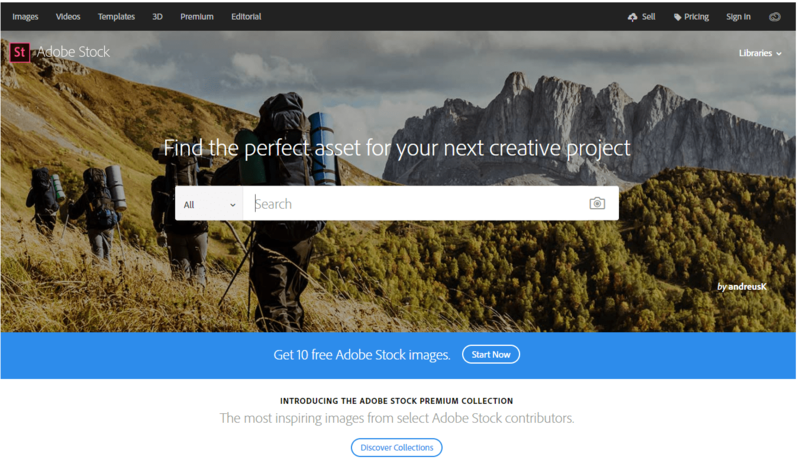 Adobe Stock offers over 90 million images, graphics, videos, and templates along with 3D, editorial, and Premium assets contributed by a community of creatives worldwide. 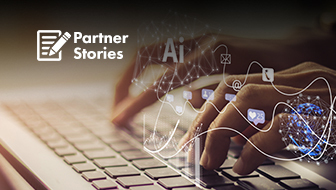 Originally founded in 2004 as Fotolia (a microstock agency), the platform was acquired by Adobe in 2015 and later renamed. Subscribing to a monthly or annual plan allows for standard downloads in images, templates, and 3D assets. Premium assets and videos can be purchased using credits. 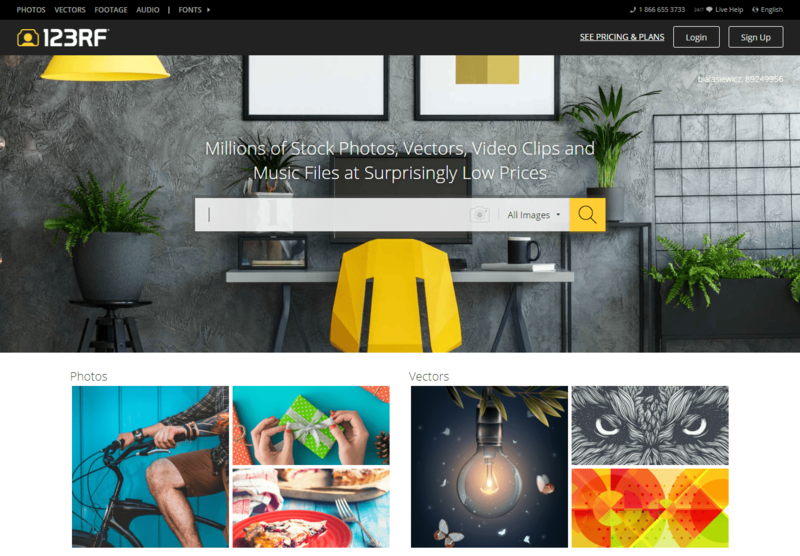 With more than 200 million royalty-free stock images in its library, Shutterstock has the largest stock imagery library worldwide. 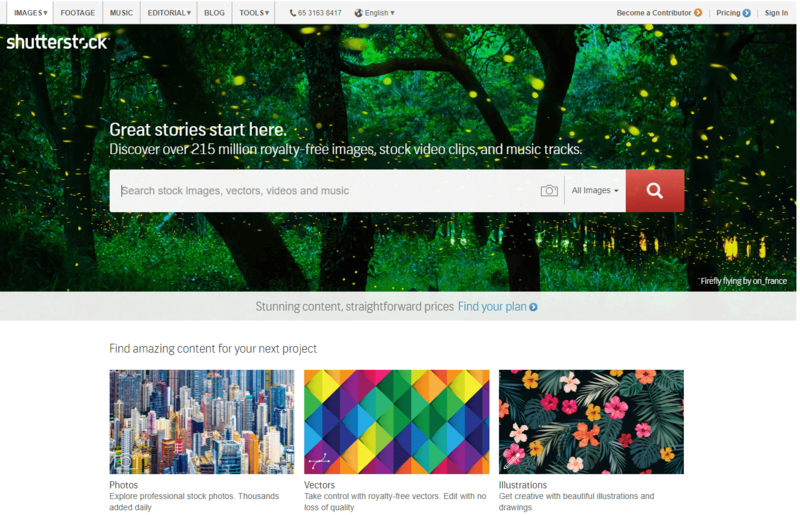 Shutterstock also has a wide selection of video, music, and editorial assets, as well as custom content. Founded in 2003, it pioneered the stock photo subscription model which was a huge success that rival platforms decided to adopt it. Images can be purchased individually or via a subscription. Subscribers get to use Shutterstock’s Editor tool which allows for quick photo customizations such as cropping images and adding filters. Dreamstime is a relatively new player that’s built up a nice reputation. Initially founded as a royalty-free stock photography website, it is a popular source of images for many advertising agencies, magazines, and media companies. Images are sold on either subscription (time-based) or credit (pay per download) packages. Their collection consists of more than 81 million photos, video footages, music and sound effects, illustration, and vectors. You can also download high-resolution royalty-free and public domain (CC0) images for free. Depositphotos is another competitively priced stock photography website. Their library consists of more than 75 million royalty-free stock photos, graphics, vectors, and videos, and there’s a greater depth to some categories (for example, their medicine and health section contains over 1.7 million photos alone). The files can be purchased through subscription or single-order credit plans. 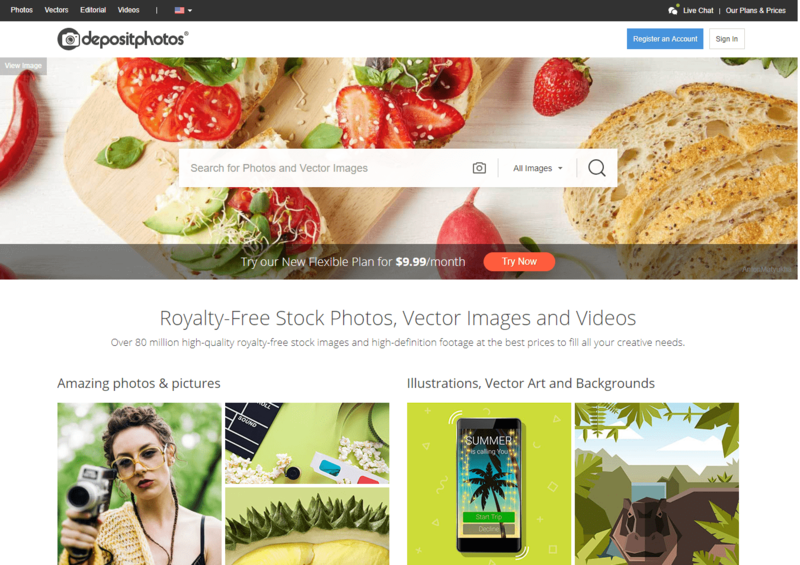 They also have a flexible plan worth $9.99/month for 10 high-resolution photos and vectors. 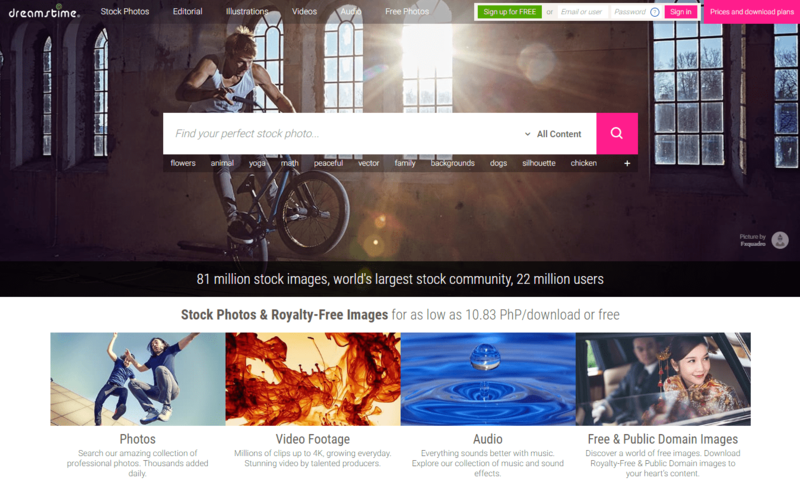 123RF is a royalty-free microstock content supplier that brings a refreshing change and has a great image search engine. You can choose from more than 103 million royalty-free photos, vectors, footage, and audio. 123RF also offers a broader range of categories than some other sites. To download a photo, you need to purchase credits, get a download pack, or subscribe to a plan. Almany maintains an online archive of more than 140 million stock photos, vectors, and videos with 100,000 new images added every day. You can tell from the start that they offer a much higher quality of photography than other sites. Images are often very well composed, artistic, and dynamic. Registration is not required to purchase an image. There is also no need to buy credits or subscription plans. Pricing starts from $19.99, and depends on the license type and file size you’ll need. Alamy also offers a great selection of creative images. 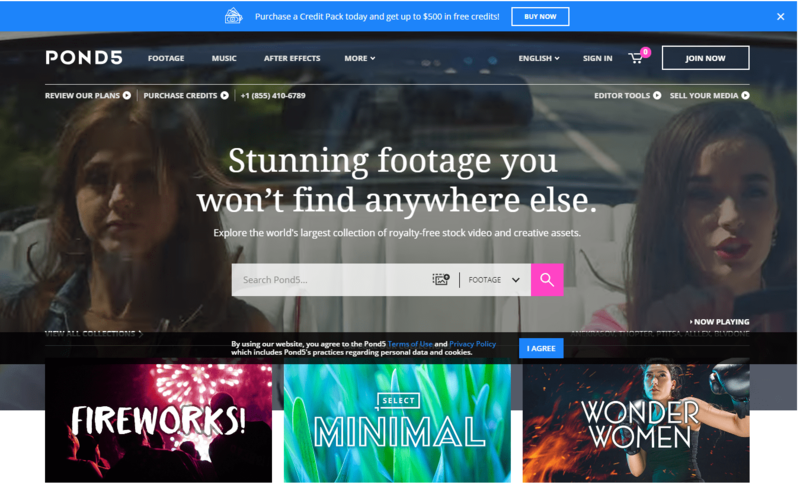 Pond5, which was founded in 2006, originally focused on selling stock footage. It then expanded into other asset types after acquiring stock photography site Pixmac in 2013. Currently, it has nearly 12 million royalty-free photos, vectors, illustrations, and PSDs which can be downloaded if you purchase a membership plan or a credit pack. They also host thousands of historic media files which can be downloaded free of charge through their Public Domain project. 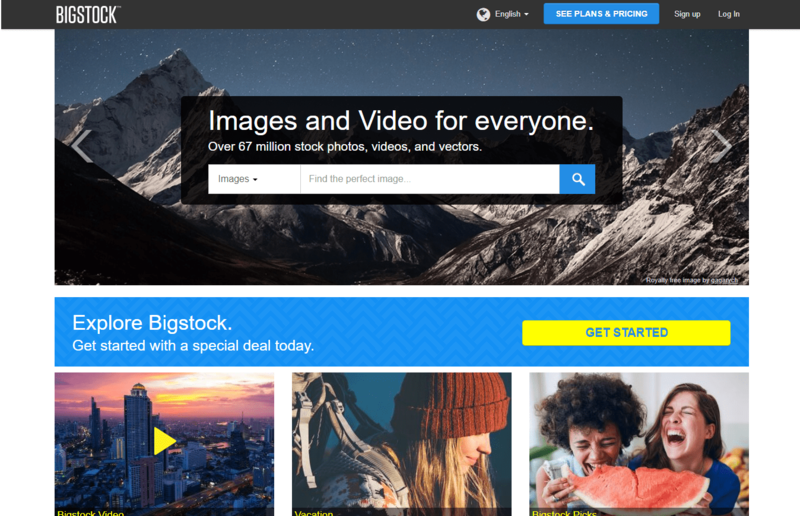 Bigstock is an easy-to-use marketplace for stock images that boasts more than 67 million royalty-free photographs and illustrations. 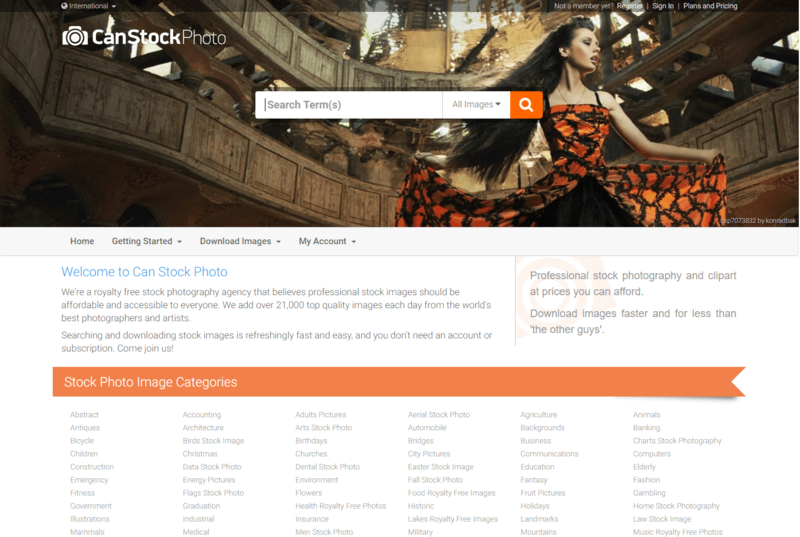 Founded as BigStockPhoto in 2004 and later acquired by Shutterstock in 2009, the website offers various purchase plans to choose from. Although their pricing is not the cheapest, the ordering system is smooth. 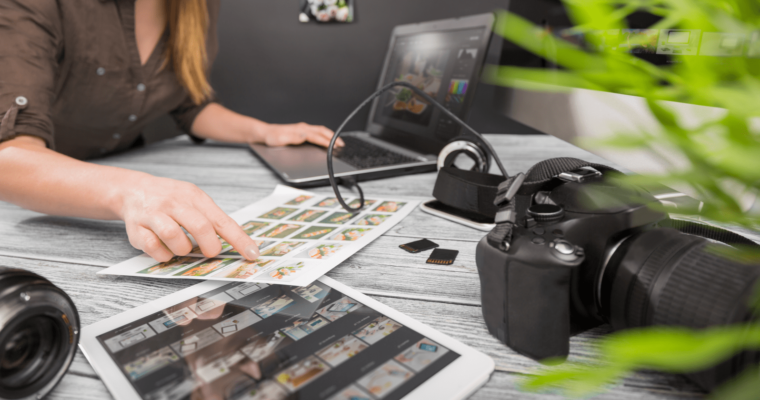 Can Stock Photo boasts more than 20 million stock photos, although many of the images are also available on previously mentioned stock photo sites. You can download their royalty-free stock photos, vector images, illustrations and graphics for as little as $2.50 apiece. 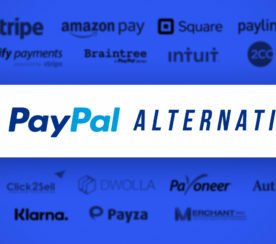 It is one of the few sites that allows for quick one-time purchases, apart from their credit and subscription download options. 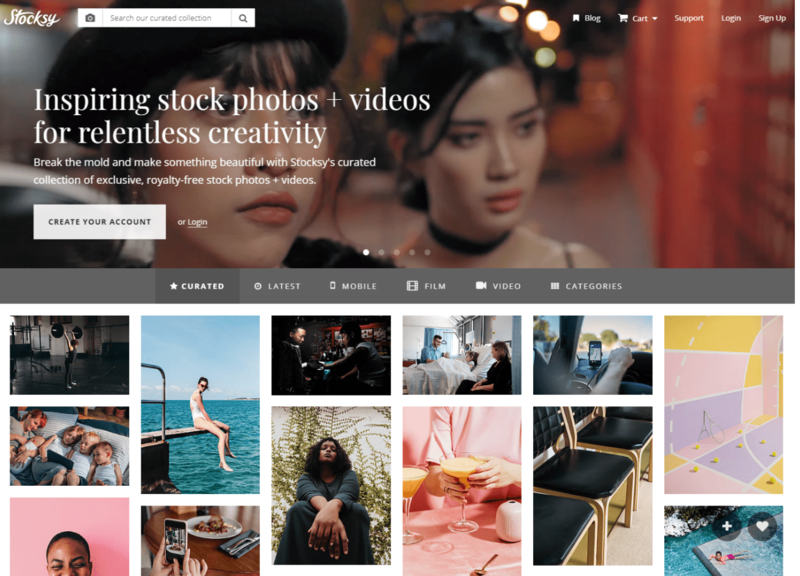 Started by the same people who founded iStockphoto, Stocksy is home to a highly curated collection of royalty-free stock photography and video footage contributed by artists from more than 60 countries. 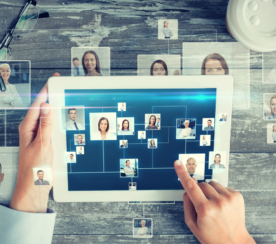 Each contributor, photo, and video is hand selected to ensure you’ll get highly usable and distinctive assets for your project. All of their images fall under the standard royalty-free license and prices range from $15 to $125, depending on the file size.